From the early June till mid-August, the majority of the Cape Cod Baseball League’s focus is all on the field and in the dugouts. 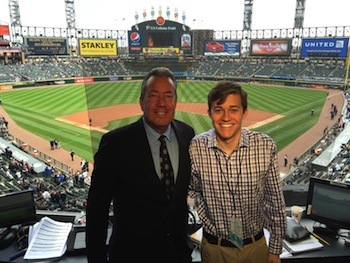 That focus is magnified by the voices fans hear on the airwaves. The West Division champion Hyannis Harbor Hawks led the way with seven players named to the 2015 Cape Cod Baseball League Year-End All-League Team. 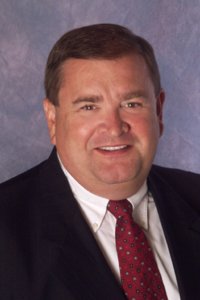 Congratulations to Yarmouth-Dennis manager Scott Pickler, who not only passed the 400 mark in Cape Cod Baseball League victories this season, but also led his Red Sox to their second consecutive Arnold Mycock Trophy, the fifth in Pick’s stellar managerial career. Chalk up another major honor for Nick Senzel. 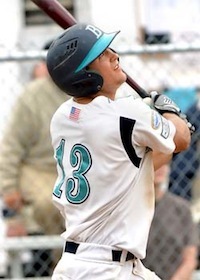 The Brewster Whitecaps infielder, whose stellar play this summer earned him the Cape Cod Baseball League’s Most Valuable Player and Outstanding Pro Prospect awards, now has been named Summer Collegiate Baseball Player of the Year. 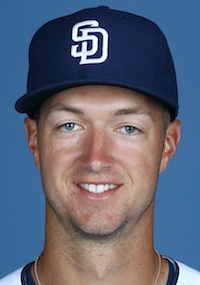 Major League Baseball’s July 31 non-waiver trade deadline prompted a flurry of deals involving former Cape League players. 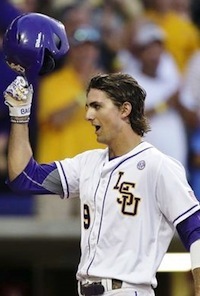 By our count, at least 13 CCBL grads are now receiving their pay checks from new teams. 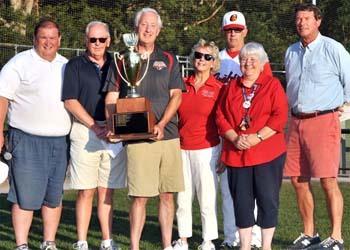 The Y-D Red Sox defeated the Hyannis Harbor Hawks 8-1 Wednesday night, claiming the 2015 Cape Cod Baseball League championship series and the Arnold Mycock Trophy for a second consecutive year. 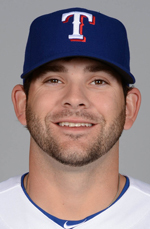 Two former Cape Cod Baseball League players turned in spectacular offensive performances Thursday as they led their respective teams, the Texas Rangers and Chicago Cubs, to important victories. Dakota Hudson (Hyannis) and Donnie Walton (Yarmouth-Dennis) named Coca-Cola Pitcher and Player of the Week #10. 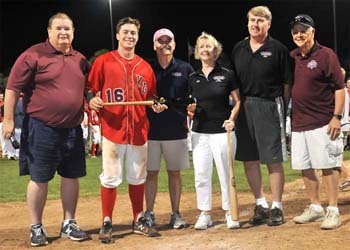 Stars of Stars Award, given to the most valuable player of the Cape Cod Baseball League playoffs shared by Y-D Red Sox’ infielder Donnie Walton (Oklahoma State) and pitcher Ben Bowden (Vanderbilt). 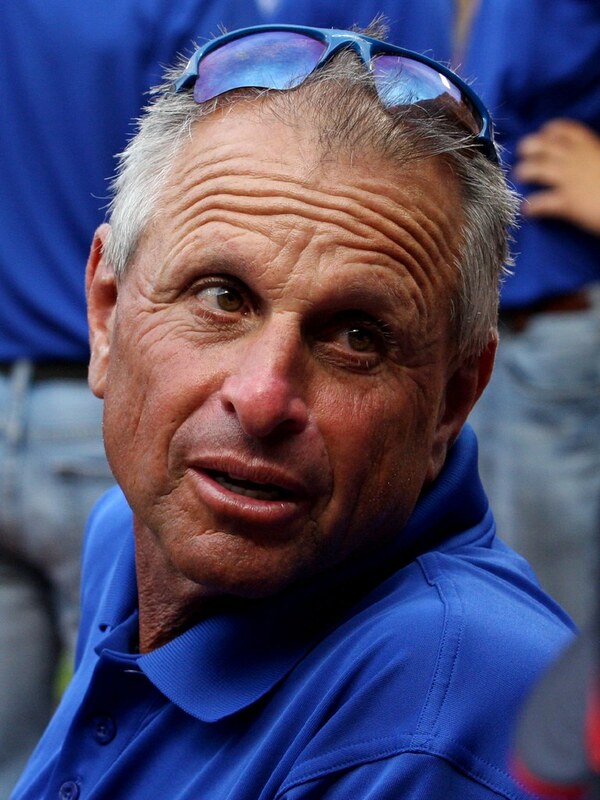 Rick Delvecchio has spent virtually his entire lifetime involved in baseball as a player, coach and for the past several years as an umpire. 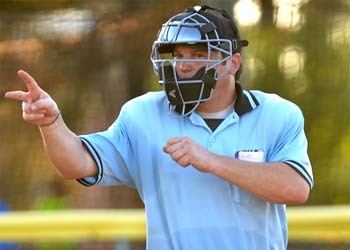 A Braintree, Mass., native and a former baseball and ice hockey player for the University of Connecticut, Delvecchio has been named 12th recipient of the Curly Clement Award as top umpire in the Cape Cod Baseball League for 2015. The Hyannis Harbor Hawks’ quest for the Mycock Trophy was stalled by bad weather Tuesday night, but 3,000 miles away in San Diego, which boasts some of the best weather on the planet, a Hawks alum enjoyed a night bordering on the sensational. 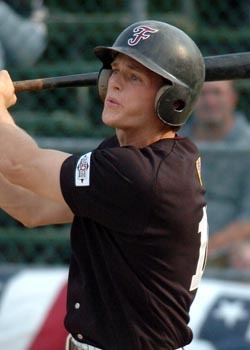 Nine former Cape Leaguers will be among the 22 players selected in Major League Baseball’s 2015 First-Year Player Draft who will take part in the New York-Penn League All-Star game on Tuesday, Aug. 18, at Leidos Field at Ripken Stadium in Aberdeen, Md. The Arts Foundation of Cape Cod has named Cape League president Judy Walden Scarafile as this year's honorary chairwoman for the 26th annual Cape Cod Five Pops in the Park concert, slated for Saturday, Aug. 22, from 7-9 p.m. at Eldredge Park in Orleans. 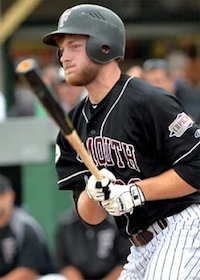 The Yarmouth-Dennis Red Sox scored four runs in the first inning and never looked back, leveling the Cape Cod Baseball League championship series on Monday to force a deciding Game 3. Heavy rain and thunderstorms in the area prompted the winner-take-all game to be rescheduled for Wednesday, Aug. 12, at 6 p.m. at Hyannis’ McKeon Park. 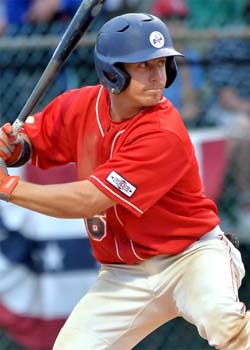 Dakota Hudson (Hyannis) and Corey Bird (Hyannis) named Coca-Cola Pitcher and Player of the Week #9. The Hyannis Harbor Hawks took Game 1 of the Cape Cod Baseball League Championship Series over the Yarmouth-Dennis Red Sox 8-1 on Sunday night. Game 2 will be held at Y-D’s Red Wilson Field on Monday at 4 p.m. The Yarmouth-Dennis Red Sox will take on the Hyannis Harbor Hawks in the best-of-three Cape Cod Baseball League championship series starting today, Sunday, Aug. 9 at 6 p.m. at McKeon Park in Hyannis. Gates and concessions open at 4:30 p.m. for batting practice. Eldredge Park was packed on Saturday night as Y-D and Orleans battled in the win-or-go-home Game 3 of the East Division finals. 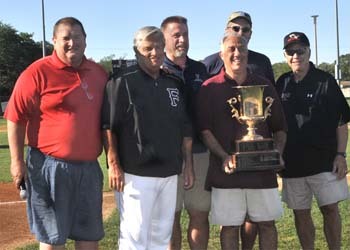 The reining champion Red Sox booked a return trip to the Cape Cod Baseball League championship series with an exciting 2-1 victory over the Firebirds at Eldredge Park. It’s been a difficult summer for the Falmouth Commodores. The team finished the Cape Cod Baseball League’s regular season with a league-low total of 16 wins, missed qualifying for the playoffs by a single point and saw the league’s longest title drought extended to an agonizing 35 years. The Hyannis Harbor Hawks advanced to the Cape Cod Baseball League championship series for the first time in 15 years with a 4-2 road victory over the Bourne Braves. The Y-D Red Sox broke a 1-1 tie in the bottom of the 13th inning Friday to force a deciding Game 3 against the Orleans Firebirds in the Cape Cod Baseball League East Division finals. 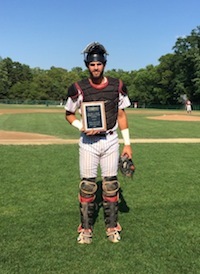 The Cape Cod Baseball League's top New England Prospect Award went to pitcher Aaron Civale (Northeastern) of the Hyannis Harbor Hawks. There is no doubt that it has been an amazing season for the Orleans Firebirds, who wrapped up the regular season with a dominating 31-12-1 record and led several statistical categories virtually all summer. The Hyannis Harbor Hawks struck first and never look back in a lopsided 10-3 victory over the Bourne Braves in Game 1 of the West Division finals at McKeon Park on Thursday. The Orleans Firebirds picked up where they left off the previous night, coming away with a 4-0 victory over the Y-D Red Sox in Game 1 of the East Division championship series on Thursday night. 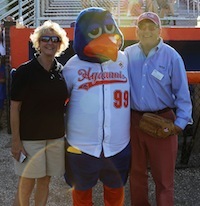 The Orleans Firebirds put on a hit parade Wednesday night to beat the Chatham Anglers 10-1 in the decisive Game 3 of the Cape Cod Baseball League's East Division semifinal series. 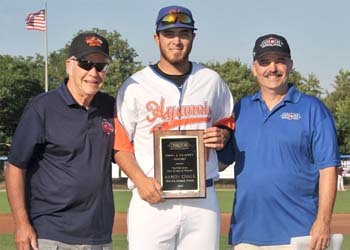 The 2015 Thurman Munson Batting Champion Award was presented to Andrew Calica (UCSB) of the Wareham Gatemen earlier this week. Here is the schedule for the Cape Cod Baseball League East and West Division finals best-of-three series, which will begin Thursday, Aug. 6. 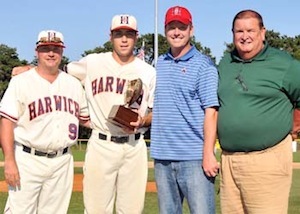 Harwich's Johnny Adams (Boston College) is the 2015 recipient of the Manny Robello 10th Player Award, which is given to a Cape Cod Baseball League player who has shown dedication both on and off the field and gives his all to the game. 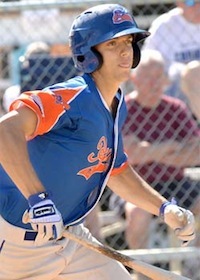 The Chatham Anglers edged the Orleans Firebirds 1-0 on Tuesday night to even their Cape Cod Baseball League East Division best-of-three series at one game apiece. The deciding Game 3 is Wednesday at 7 p.m. at Eldredge Park in Orleans. 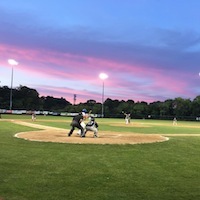 The Bourne Braves defeated the Wareham Gatemen 4-0 in Game 2 on Tuesday night to clinch their best-of-three Cape Cod Baseball League West Division series. 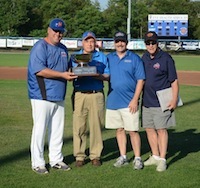 The Hyannis Harbor Hawks have sat atop the West since the first day of the 2015 Cape Cod Baseball League season, so it seems fitting they finished the regular season 23-18 to capture their third West title in five years and cruised to a best-of-three sweep of the Cotuit Kettleers in the West series opener, which marks the organization's first playoff series win in 15 years. 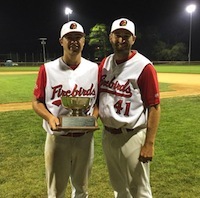 Monday night before Orleans' East Division playoff opener against the Chatham Anglers, the BFC Whitehouse Outstanding Pitcher Award was given to Firebirds hurler Mitchell Jordan (Stetson). After taking Game 1 on Monday, the Y-D Red Sox completed the best-of-three sweep over the Brewster Whitecaps at Red Wilson Field with a 7-3 victory on Tuesday to advance to the East Division championship series. Tyson Miller (Brewster) and Heath Quinn (Falmouth) named Coca-Cola Pitcher and Player of the Week #8. 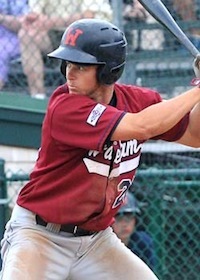 The Y-D Red Sox rallied for three runs in the bottom of the eighth to defeat the Brewster Whitecaps 3-2 and the Orleans Firebirds topped the Chatham Anglers 4-1 on Monday to kick off the Cape Cod Baseball League's East Division playoffs. Bourne beat Wareham and Hyannis topped Cotuit in Game 1 of their best-of-three West Division semifinals on Monday. 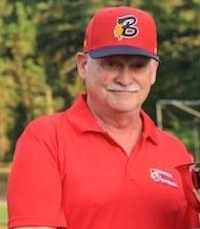 For the second consecutive season, Chuck Sturtevant of the Bourne Braves was presented with the Cape Cod Baseball League’s John Wylde General Manager of the Year Award. The Brewster Whitecaps have a rising star among them: Nick Senzel. 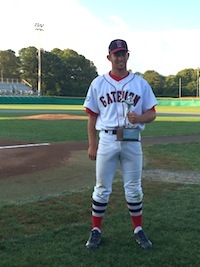 The 2015 Daniel J. Silva Sportsmanship Award has been presented to Will Haynie (Alabama) of the Cotuit Kettleers. The Cape Cod Baseball League 2015 regular season has now concluded and the first round of the playoffs has been set. They are listed below along with the seedings throughout the playoffs with explanations where needed.